In spite of what the mandatory positivity and hype surrounding contemporary spirituality might suggest, observing a regular meditation practice can become challenging over time. Keeping up a regular practice of anything (and especially something as time-consuming as meditation can be), requires dedication, or even devotion, not to mention adequate time, patince, and a fair amount of focus. With social media, TV, advertising, and so many other channels of constant new informaton competeing for all five senses, and with the instant gratification hand-held devices, and small, colourful screens offer, (which can easily become quite addictive) many do struggle to keep up with their meditation practices. It is thought to be harder to break a habit than to form a new one. Once you have successfuly turned your meditation into a regular habit, you might be safe. How long this might take would vary from person to person. Old masters insisted that doing something every day for one-hundred days is necessary to see its effects on one's mind or body, be it QiGong, martial arts training, or meditation. Today there is still no scientific consesnsus as to how long it takes to form and reinforce anyting habitually, but as one study indicates. it can be anything between 18 and 254 days. It seems that there is no one-size-fits-all answer, simply bacause there are too many factors to consider. Your former habits, normal attention span, determination, motives, goals, and the difficulty of the task at hand might all play a role, and meditation is often not easy to weave into a busy daily schedule. The hype around contemporary mindfulness might seem to help. Everybody appears to be doing it, or at least everybody talks about it. You see workshops, success stories, instruction, and most likely some of your friends brag about their meditation habit on social media. All this creates an incentive. You want to be part of it, not to be left out, experience all the mindful goodness, but more importantly, you crave to belong. It creates a sense of community, something others do as well, so you are more likely to stick with it than with some arcane method nobody had ever heard about. Unfortunately, this popularity might be counter-intuitive on the long-term. It is a trend. Its future is uncertain, it might stay or it might blow off. It also depends on the general mindset of your peers. What if your friends don't care about mindfulness, but you still want to give it a go? Another downside of hype is that while everybody wants to appear to be a part of it, you can never be sure what's under the surface. Have you ever said to yourself you will just skip practice/training/study/anything just once? If it happens once, it's hardly a problem. If it happens agan, it might be. If it starts happening regularly, because life, work, other habits, friends, family, other commitments, or just about anything takes priority, it might soon become a problem. It can go so far that you no longer practice regularly. It can even go so far that you stop practising completely, with the idea that it is only a temporary break, and you will start doing it again soon. Maybe tomorrow, maybe next week, next month, when you finish this project, or in the new year. But just as you've begun to form a habit of practising, not doing it can just as easily (or in fact much more easily) become a habit of its own. Not doing somehting requires no effort. It's easy to get used to it. Your brain will work hard to find excuses, to justify why you cannot do it right now. Once that becomes a habit, you are in trouble because breaking habits is really not an easy thing to do. How this all connects to hype is the pressure it will put on you. If you've started to practise meditation because you wanted ot keep up with the trend, you might feel a pressure to keep up the appearance of doing it. Thus showing to the world outside that you are in fact int he regular habit of practising, and promising yourself that you will soon start again. Deep inside you feel dissonance because you know this is not true, but you cannot publicly acknowledge it, and often will not readily acknowledge it to yourself. Appearances must be kept. Denial is a basic survival mechanism, that allows us to navigate our complex psyches, and an often hostile world without being hurt or going insane, but the dissonance it causes will soon become a source of stress and anxiety, and that will be translated to your meditation practice as well. To your mind, your meditation practice itself might look like a source of your stress, and on a subconscious level, your brain will try to protect itself from it, meaning you will try to avoid it at every opportunity. You can probably see where it leads, already. In short, hype is not always good, and rarely sufficient. If you are planning for the long term, you might want something more dependable. The role of rituals in our life is well researched and documented. Rituals, regligious or otherwise, can have many positive effects, even boost performance, be it physical or mental, through alleviating anxiety often associated with failure. Rituals have been known to be effective from a psychological point of view, and they have the added benefits of helping you turn them, and through them, your meditation practice, into a regular habit. Long term habits have been proven to alter your brain on a neurological level, making them near impossible to break. Think of smoking, or the morning coffee (also to be considered a ritual by many), then imagine your meditation becoming a similarly strong and deeply wired daily habit, that you simply must do, lest you'd feel something is missing. If it sounds like an effective way to ensure you will not miss a session, is because it is. And associating rituals with your meditation practice can help you achieve this with less effort than it might seem. It does not matter what kind of meditation practie you engage in, be it the most simplistic form of contemporary mindfulness, or something more engaging, more traditional, or deeper. Practically all religions and belief systems rely on them heavily, and people often turn to religious rituals to aid their meditation practice, even though they might not otherwise follow the religion in question or at least not strictly. But rituals can be anything, independent from religions or beliefs, and even if you might follow a certain religion or spiritual teachings of any sort, you can include additional rituals to specifically aid your meditation practice. These can be anything: a series of movements, or somethign that stimulates your senses. 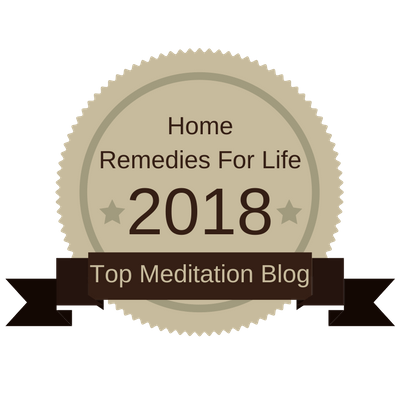 The following short list can be observed by most, regardless of religous or spiritual preference, and can be highly efectinve in aiding you to turn your meditatoin practice into a real, hard-wired habit. Putting on your "meditation clothes" can become a ritual in itself. When you don your usual outfit every time before practice, your brain will soon associate this habit with the practice itself and can begin to prepare for it in advance. These clothes can be anything, from the fancy Chinese-style silk dresses to plain old training clothes, as long as they do not distract your attention from your practice. The important thing is to make sure they're always the same. When you put on your "meditatin outfit", you will most effectively prepare yourself mentally for the session to come. The first step towards creating a ritual is to have a place dedicated to it. It does not have to be a room, although it might help. You can use a corner, even a chair, or just a mat, or pillow. The space you use for meditation should be unique and used only for that purpose ideally, but if you cannot afford that, you can turn the act of setting up your meditation space into a ritual. Use the same environment, use the same accessories, and even the same set of movements. An integral part of your practice and your meditation space itself is the cushioning you use. Whether it is a folded blanket, a pillow, a purpose made meditation cushion, or a chair, make sure you always use the same item, in a similar manner. If it's a pillow, chair or chushion, try to use it exclusively for your meditation practice, and for nothing else. 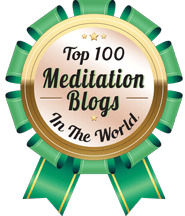 If it's a meditation cushion, try and find a special place to keep it, and only use it for your meditation practice. Setting up, or entering the meditation space should become the first step in your meditation ritual. Rituals often involve movements, and these movements are often repetitive. Why not make them beneficial for the body, and the mind in more than one way? Practising QiGong and/or Yoga can be a good idea before, and even after meditation. Whether you practice QiGong or Yoga to prepare for meditation or practice meditation to prepare for QiGong or Yoga, makes no difference. You can even do both, e.g. one before the meditation session, the other afterwards. Not neglecting your body will benefit your general health, your mind, your ability to focus, while it can also serve as an effective ritual to help meditation become a deeply reinforced habit of its own. Stimulating your senses does not have to end with your hearing. Fragrance and aromas can have a slightly more subtle, and harder to grasp, yet equally significant effect on your emotions and even cognition. Burning incense and oils has been a tradition and had a significant role in many rituals (spiritual, religious, or even personal) for times immemorial. Preparing and burning incense, oils, or even just fragrant candles can easily become a part of the preparation ritual, but make sure the aromas you choose are non-intrusive so that they do not distract your attention while practising. There are several kinds of tea ceremonies known in different cultures around the world, and many of these are rituals in themselves. Besides its effects of stimulating another sense (your taste-buds), tea contains L-theanine, and its stress and anxiety-reducing effect on the brain can make it an ideal preparation for serious meditation or the ceremony can even become a meditation itself. Also, tea has many health benefits, so consuming green tea is most useful even outside of your meditation practice. Going through the movements of your chosen ceremony will make it easy to turn it into a ritual, which can become an effective and integral part of your meditation practice. Many traditional meditation methods require you to keep your eyes open. Most famously, Zen meditation (Zazen) is practised with the eyes open, in order to prevent the practitioner from falling asleep. Other methods might call for focusing on something in front of you, probably an image, a mandala, or similar. Whatever the goal of visual aids, be it mandalas, statues, images, or simple symbols, visual aids can enhance your focus by giving your eyes something to rest on, and thus help you shut out everything in your environment that might disturb you otherwise. Some religions explicitly prohibit statues and images, but if you face no such prohibition, you can use any symbol, image or figure you like, whether you consider it an ornament, a place to rest your eyes, or a symbol of spiritual significance. Several schools, religions or methods observe a variety of rituals. Some say prayers, chant mantras, use bells, gongs, bowls, cymbals, and even wooden fish. Prayer wheels, spinner rings, and malas are used to keep track of one's mantras, or prayers, but can as well serve as a mere point of focus. If you follow a traditional school or method, it might be a good idea to also adapt any ritual traditionally associated with it. It might make you feel more connected to your practice, but, more importantly, the rituals themselves will allow your meditation to become a neurologically reinforced daily habit, that you'll find easier to do than to break.